2. Eligibility. 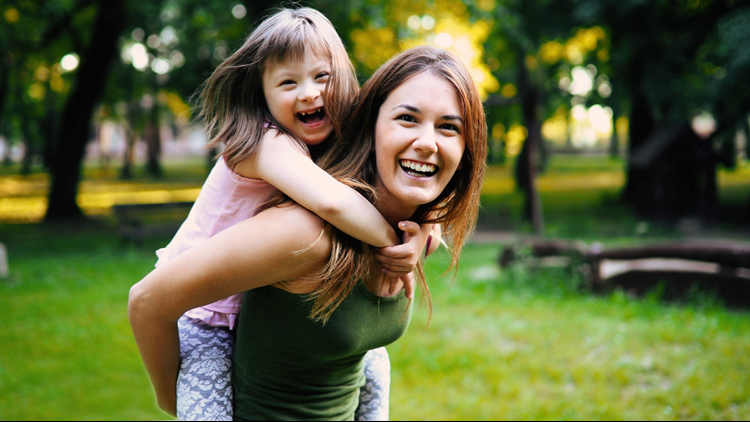 Subject to the additional restrictions below, the “Mommy & Me” Photo Sweepstakes (the “Sweepstakes”) is open to legal U.S. residents of Arkansas who are 18 years or older at the time of entry. Employees and contractors of Jones & Son Jewelers (“Sponsor”), TEGNA Inc., and each of their respective corporate parents, affiliates, subsidiaries, and advertising and promotional agencies, and the immediate family members of, and any persons domiciled with, any such employees or contractors, are not eligible to enter or to win. 3. How to Enter. The Sweepstakes will begin at 5 a.m. (C.T.) on May 1st, 2018 and end at 5 pm. (C.T.) on May 10th, 2018 (the “Sweepstakes Period”). To enter, entrants must submit an original photo of a mother or mother figure. Enter online by visiting THV11.com/Contests, clicking on the Mommy and Me Photo Sweepstakes link, completing all required information and following all posted instructions. Each photo submission must be an authentic, original photograph taken by entrant identified on the accompanying entry form, and the entrant must own the copyright in the photograph submitted or have the appropriate rights to submit the photo, including the permission of all people in the photo. All digital entries should be at the highest resolution possible. Sponsor will accept the formats of jpeg and tiff. Images must not have been digitally altered in any way other than necessary cropping. Maximum one (1) entry per entrant. All entries must be received by 5 pm. (C.T.) on May 10th, 2018. All entries become property of Sponsor and none will be returned. Sponsor reserves the right to reject any photos that Sponsor, in its sole discretion, deems obscene, offensive, inappropriate, objectionable, or in bad taste, or infringes on any third-party’s intellectual property rights. Sponsor will not be responsible for incomplete, lost, late, misdirected, or illegible entries. All entries become property of Sponsor and none will be returned. Entrants acknowledge and agree that Sponsor shall have the right to edit, adapt, modify, reproduce, publish, promote, create a sound recording of, broadcast, or otherwise display or use entries in any way it sees fit without limitation or compensation to entrants. By participating entrants agree to be bound by these Official Rules, the decisions of Sponsor and to receive emails from TEGNA Inc., Sponsor or those directed by TEGNA Inc. or Sponsor. You can opt-out of the receipt of such e-mails by following the directions on the Sweepstakes in any email received from Sponsor. 4. Winner Selection. On or about Thursday May 10th, 2018, one (1) prize winner will be selected in a random drawing from among all eligible entries received. 5. 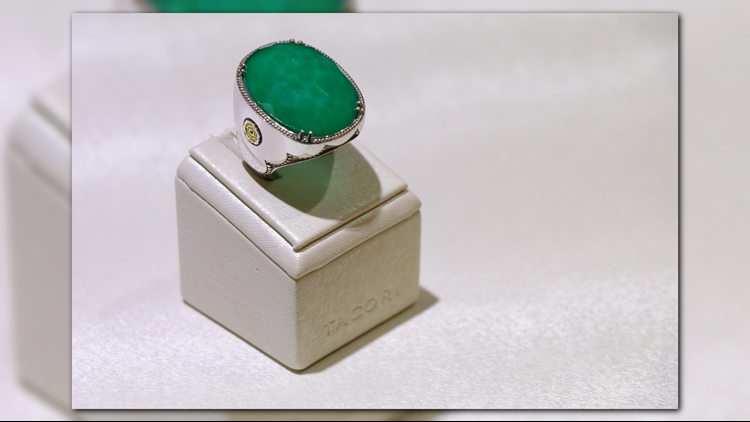 Prizes and Odds.One (1) Winner will receive a Tacori Fashion Sterling Silver and Green Onyx Ring (ARV: $700). Odds of winning depend on the number of eligible entries received. 6. Winner Notification and Acceptance. Winners will be notified on or about Friday May 11th, 2018 at the email address provided on winner’s entry form. Return of email prize notification as undeliverable may result in disqualification and an alternate winner may be selected. To claim prize, winners must personally visit Sponsor’s offices at 11121 N Rodney Parham Rd, Little Rock, AR 72212 within forty-eight (48) hours after notification (office visits must be between the hours of 9 a.m. (C.T.) and 5 p.m. (C.T.) weekdays) and must present a valid photo identification. Winners may waive their right to receive prizes. Prizes are non-assignable, nontransferable and not redeemable for cash. No substitutions allowed by winner. Prizes and individual components of prize packages are subject to availability and Sponsor reserves the right to substitute prizes of equal or greater value. Winners are solely responsible for reporting and payment of any taxes on prizes. Winners will be required to complete an affidavit of eligibility/liability certifying that entrant has complied with the Official Rules of the Sweepstakes, and a liability and publicity release which must be returned as instructed by Sponsor. Failure to sign and return the affidavit or release, or to comply with any term or condition of these Official Rules, may result in a winner’s disqualification, the forfeiture of his or her interest in the prize, and the award of the prize to a substitute winner. Except where prohibited, acceptance of any prize constitutes winner’s consent to the publication of his or her name, biographical information and likeness in any media for any commercial or promotional purpose, without limitation the Internet, or further compensation. Prizes not won and claimed by eligible winners in accordance with these Official Rules will not be awarded and will remain the property of Sponsor. 7. Participation. Sponsor reserves the right to disqualify persons found tampering with or otherwise abusing any aspect of this Sweepstakes as solely determined by Sponsor. In the event the Sweepstakes is compromised by a virus, non-authorized human intervention, tampering or other causes beyond the reasonable control of Sponsor which corrupts or impairs the administration, security, fairness or proper operation of the Sweepstakes, Sponsor reserves the right in its sole discretion to suspend, modify or terminate the Sweepstakes. Should the Sweepstakes be terminated prior to the stated expiration date, Sponsor reserves the right to award prizes based on the entries received before the termination date. Sponsors will not be responsible for incomplete, lost, late, postage-due, misdirected or illegible entries poor quality photos, or for failure to receive entries or votes or other electronic communications due to transmission failures or technical failures of any kind, including, without limitation, malfunctioning of any network, hardware or software, whether originating with sender or Sponsor. In the event of a dispute, all online entries or votes will be deemed to have been submitted by the owner of the ISP account from which they were sent. For these purposes, an ISP account holder shall mean the natural person assigned to such ISP account by the Internet access provider, online service provider or other organization responsible for assigning ISP addresses for the domain associated with such ISP account. Any questions regarding the number of entries, or votes submitted or the owner of an ISP account shall be determined by Sponsor in its sole discretion. 8. Copyright. By entering the Sweepstakes, each entrant grants the Sponsor an exclusive, royalty-free and irrevocable right and license to publish, print, edit or otherwise use the entrant’s submitted entry, in whole or in part, for any purpose and in any manner or media (including, without limitation, the Internet) throughout the world in perpetuity, and to license others to do so, all without limitation or further compensation. Each entrant further agrees that if his/her entry is selected by Sponsor as the winning entry, he/she will sign any additional license or release that Sponsors may require. 10. Sponsor. The ”Mommy & Me” Photo Sweepstakes is sponsored by Jones & Son Jewelers. The decisions of Sponsor and regarding the selection of winners and all other aspects of the Sweepstakes shall be final and binding in all respects. Sponsor will not be responsible for typographical, printing or other inadvertent errors in these Official Rules or in other materials relating to the Sweepstakes. For the name of the winner (available after June 4th, 2018) or a copy of these Official Rules, visit Thv11.com/contests and click on the THV11 General Sweepstakes and Contest Rules, or send a self-addressed, stamped envelope to “Winners List/Official Rules” (as applicable), “Mommy & Me” Photo Sweepstakes, 720 Izard St, Little Rock, AR 72201. If you have any questions regarding this Sweepstakes, please contact Jessica Amis at jjohnson@thv11.com, or 501-244-4527.